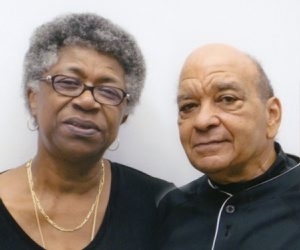 Mr. and Mrs. Richard Lee Harris of Buffalo celebrated their 50th wedding anniversary with a vacation to Negril, Jamaica. The couple will renew their marriage vows at a reception with family and friends at Metropolitan Entertainment Complex in April. Mr. Harris and the former Margaret Linda Davis were married March 14, 1964, in Lincoln Memorial United Methodist Church in Buffalo. He is retired from Cooper Cameron in Cheektowaga. She is a clinical laboratory scientist for Women and Children’s Hospital of Buffalo. They have three children and 10 grandchildren.